Add some luxurious sparkle to your decor! 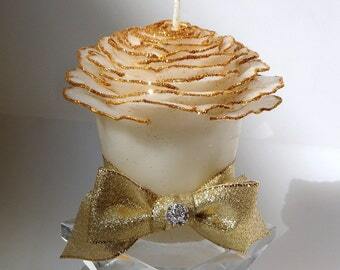 Exquisite candle gifts for holidays, birthdays, weddings, and other special occasions. 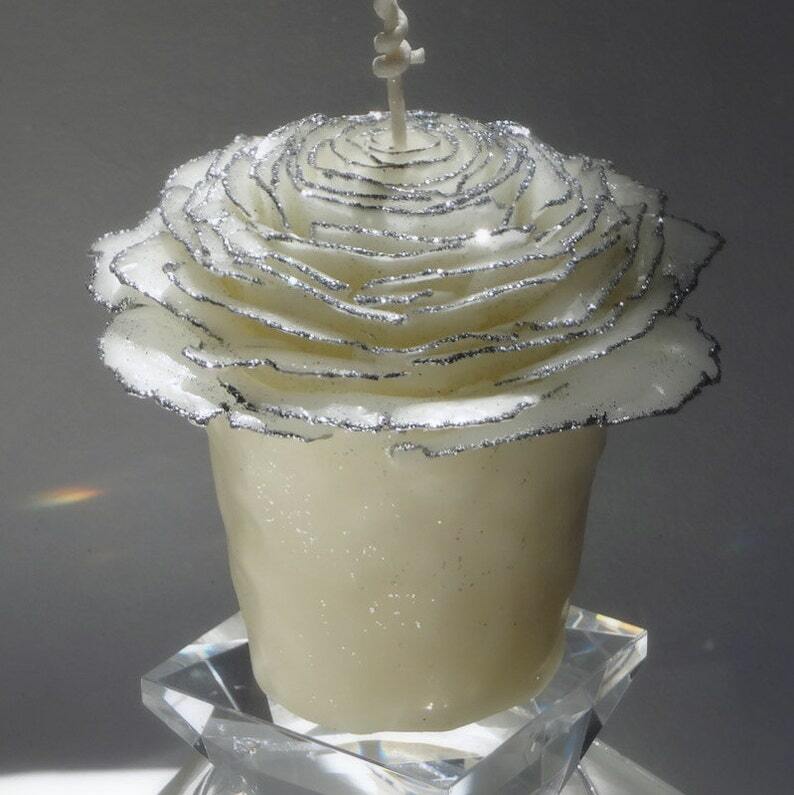 Unique Glitter Rose Candles in natural white beeswax, embellished with your choice of silver or gold wax paint & glitter. Handmade to order at my art studio in California. Using my original designs & techniques, no two candles look exactly the same. 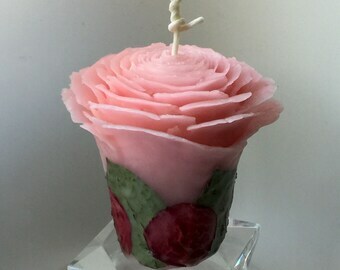 Other candle colors, sizes, styles, adornments, and quantities are available in my shop or by custom order. 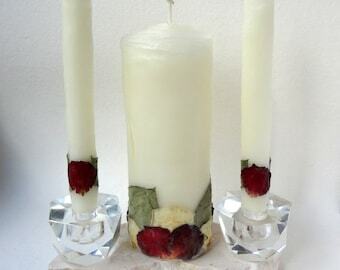 Photos show candles from previous orders in a variety of sizes & colors. Yours will be handmade to order in natural white in the size & adornment color of your choice. Additional adornments (rose petals, ribbon, etc.) available by request for additional cost. Please tell me the date needed by in the "note to seller" section during checkout. The current estimated production time for this item is listed in the "Shipping & Returns" tab. In my signature packaging: a gift box tied with tulle ribbon. A Forest Candle Studio mini note card is enclosed (candle info & burning instructions are on the back). Ships via USPS Priority Mail with tracking & insurance. Usually 3 days delivery time but can take up to 5 days. Overnight delivery via Express Mail is an available option during checkout for an additional charge. Please add my shop to your Etsy Favorites so you can find me again easily!